Aren't these cute? 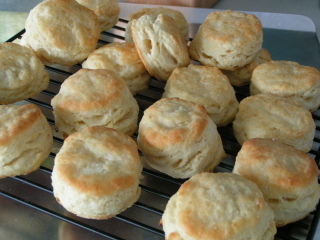 These are simple little buttermilk biscuits I made for my mom's fried chicken birthday dinner. If you are curious about how simple and want me to post a recipe, let me know by leaving a comment (hint, hint). I got it from my favorite cookbook from Southern Living. She doesn't just call them biscuits, she calls them "dinner".